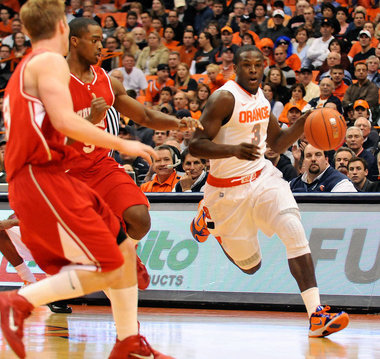 Last year’s Big East Conference regular season champion is plagued with postseason failure. A third-round loss in the NCAA Tournament to Butler didn’t help the Panthers case after a couple of hiccups in the postseason. It’s another tough season in the Big East and to me the Panthers can’t keep up with the top tier, UConn and Syracuse. Yes, they have Ashton Gibbs, one of the nation’s sharpest shooters, but I feel this isn’t nearly as good as last season’s. The only other returner is Nasir Robinson. 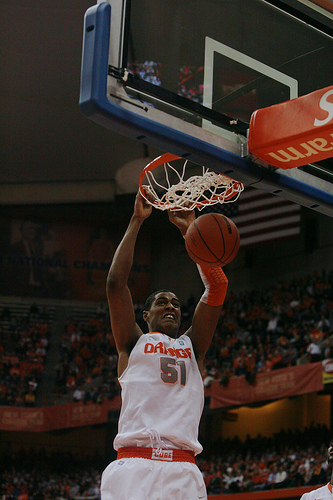 Robinson is undersized, but is a hard-nosed player at 6-foot-5. Robinson will be teamed with Dante Taylor in the frontcourt, who is replacing the graudated Gary McGhee (I’m pretty sure McGhee’s ankles are still floating around the court of Madison Square Garden). The Panthers will be a tough interior defensive team is freshman Khem Birch, a McDonald’s All-American can contribute early. But the frontcourt provides little on the offensive end. Gibbs is going be more aggressive this season scoring. 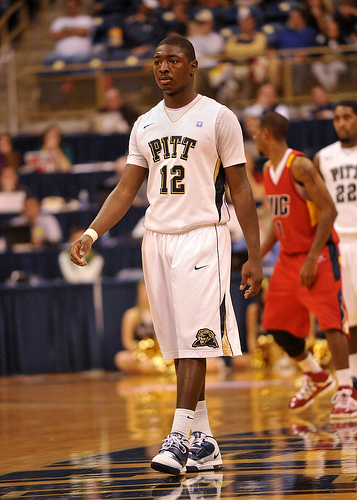 Pitt’s second option is small forward J.J. Moore. This season postseason failure may not be a disappointed as I don’t feel this team shouldn’t have high expectations from the previous seasons.